This is a really rough draft with plenty of edits to come but it's a very nice start imho and I don't have to re-watch the videos to find that one fact. Can just do a search on key words to go straight there. Mode-Things Mode-Insert to put player or other things on map. Can right click a placed thing to bring up the menu screen and change it. To change all walls go into Linedefs Mode and click the walls to change then right click on one of them. Will show how many items/walls are selected at the top in parenthesis. Click the Sidedefs tab and click exclamation pointed (missing) texture if there, and select one from the set. (Probably in Base, Metal or especially, ASSETS1.WAD would be best) Can do the same for sides of lights from ceiling or floor if raised or lowered from either. Press C to clear selection after implemented. Use the arrow keys to move the drawing around in grid view. Open DB2 and be in default Vertices Mode. Press Ctrl+D to enter Drawing Mode and a dot will appear at the cursor. Click on the grid somewhere to begin drawing with that dot. Can also create sectors in Linedefs Mode and Sectors Mode by pressing Insert. Vertices Mode to resize a sector. Click a corner or two corners. They will blink red. Hold right click on top of one and drag outward to expand. Use the Tab key to 'jump' straight to the texture you're currently using in the texture selection screen to aid w/ picking similars. 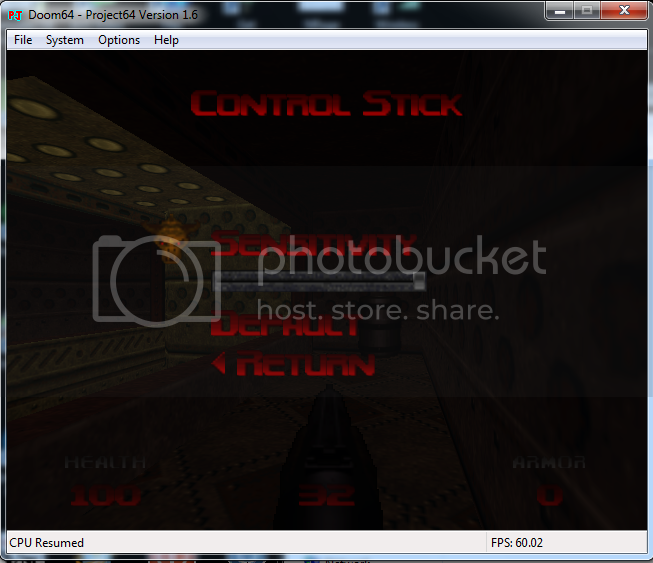 Download, install and open Doom Builder 2. 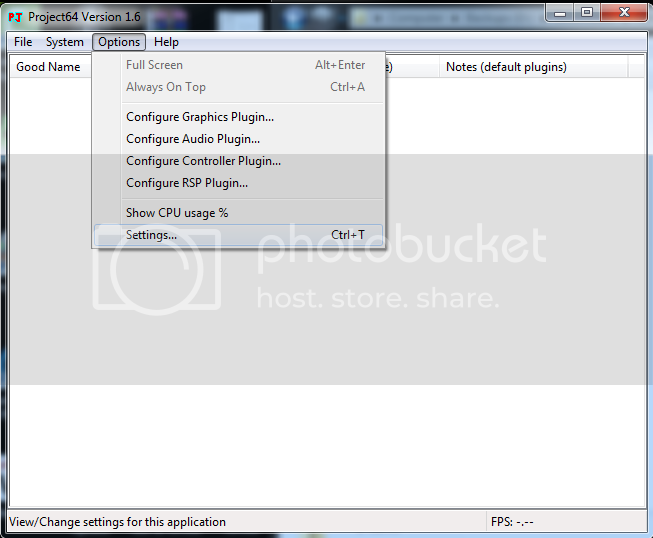 Once open click Tools-Game Configurations in the toolbar at the top. A list of all the configurable Doom engines will appear in a list on the left. 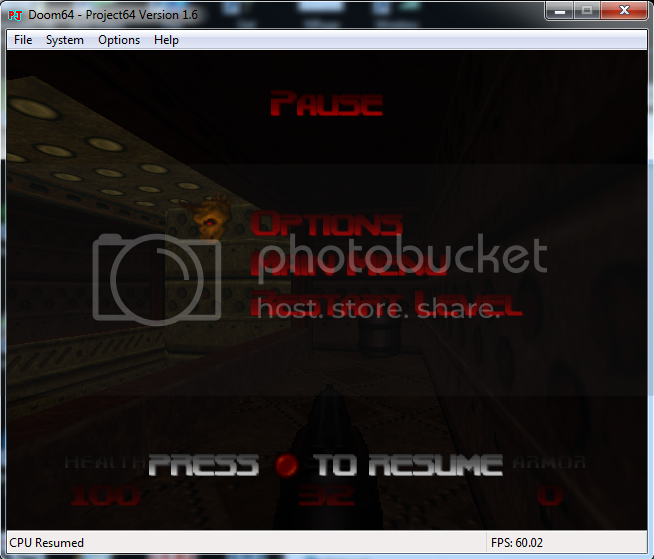 For this demo, click on the Doom 2 engine. Now on the Resources tab, click the "Add resource" button, the folder icon (to browse) and navigate to your DOOM2.wad and click Open. NOTE: To select extra resources click the Add resource button again and add from another WAD file, a directory or a PK3 file. Leave the defaults on the Nodebuilder tab. Click the Testing tab and the folder icon to browse. Navigate to the zdoom.exe or gzdoom.exe and double click it. Set the skill level and other parameters, if needed, otherwise leave them as default. Leave the Textures and Modes tabs as default and click OK.
To start a basic map click File-New Map. 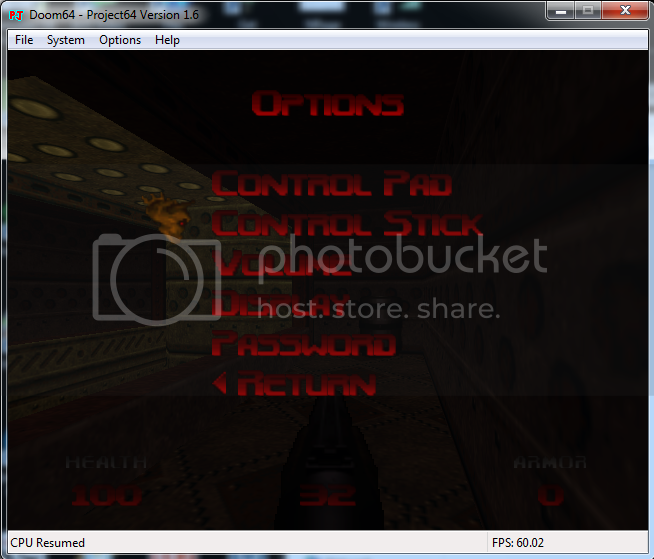 In the Game Configuration drop down window click the Doom 2 engine we just configured. The IWAD we set up will be automatically loaded under Resources. Change the Level Name to one of the other maps if you want to load a specific one otherwise can leave it at default MAP01 and click OK. The grid view will load in Vertices Mode, ready for some editing..
To draw a sector press ctrl+D to enter Drawing Mode. Hover over a point with the dot that appears on your cursor and left click to have a start point for a line. As an example for a room, draw a horizontal line to the right, 640 in length (will be illustrated on the line as you 'pull' it from the starting point.) Click again when it's at 640. Pull straight down until it's at 640 again and click the grid at that point. Pull it again to the horizontally to the left until it's at 640 then click. Do it one more time pulling up and back to the starting point to complete the room. A texture appears inside the box we just drew representing a completed sector/room and the mode reverts to Vertices Mode. While in Vertices Mode you can hover over the corners of the sectors and they will highlight, meaning they are selectable. If you right click hold and drag one of the selectable corners you can modify the sector's shape by pulling it in any direction. Can also click two corners to select them (they'll turn red) and right click hold and drag both to modify the shape of the sector. Press C to clear the selections. This will un-highlight the two corners we selected to test the dragging. (clicking a clear place on the grid, if available, will have the same effect) Can also insert a vertice (or several) by hovering over a line and pressing the Insert key. Selecting these newly added vertices and dragging them can help save time when modifying a sector. Pressing Delete while any added vertices are highlighted will remove them and also ctrl+Z will safely undo newly added vertices that are no longer needed if no other critical changes have been made since. -Enter Linedefs Mode by pressing L on the keyboard or clicking Mode-Linedefs Mode in the toolbar. In this mode lines around the sector can be clicked or highlighted individually. Also, by right click hold and dragging (in the middle of a line) will produce a similar effect to what the same thing did in Vertices Mode. 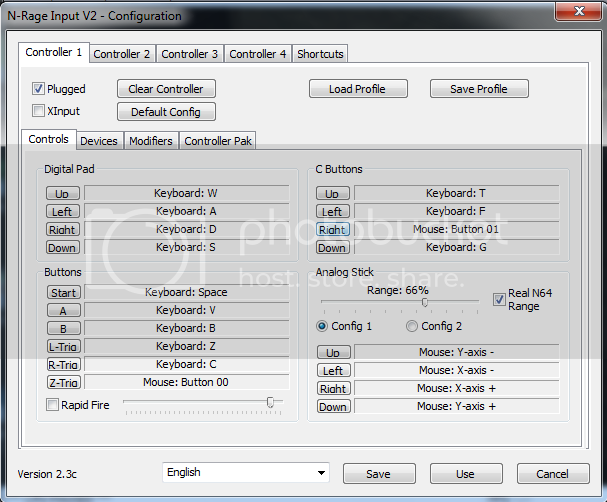 Can also select multiple lines and right click hold and drag them around to change or expand the sector. Press C to clear the selection after testing. Can also draw a sector in Linedefs Mode by hovering the cursor over a point and pressing the Insert key. (This will automatically change the mode to Drawing Mode) Use the arrow keys to move away from the 1st sector and draw another square sector matching the size of the first one with four 640 length lines connecting at the end. With the new sector completed, we default back to Linedefs Mode. -Note that deleting one line on the new (actually, any) sector will remove the texture leaving the former sector as an empty black space with 3 lines still showing on the grid. Having sectors like this will cause errors in the map so a good rule of thumb is to never just delete lines for any reasons but to move them if needed to keep all sectors complete. Press ctrl+Z to undo the deleting of the sector's line. Enter Sectors Mode by clicking Mode-Sectors Mode or pressing S on the keyboard. The entire sector will highlight when you hover over it so you're able to select entire sectors now. Can right click hold and drag a sector around the grid. Also, can click to select multiple sectors and each will get a # in the center. To create a sector in this mode, like before, hover over the starting point to draw and press the Insert key. It'll auto switch to Drawing Mode again and from there you can complete the lines for the new sector. Upon completion, it will default back into Sectors Mode. -Note: To connect the two large sectors you can manually draw a sector in between and touching the other sectors or if you plan to do a step down detail in one or both of the original large sectors you can draw a new sector from within one larger sector all the way over and inside the other larger sector then complete it and Doom Builder 2 will automatically splits/fixes the sectors to where they need to be. Can also draw sector lines from outside the boundaries of the original sectors (horizontally, for this demo) all the way through the entire map and outside the boundaries on the opposite side, then complete a new sector by connecting finally at the start point and Doom Builder 2 will splice it up correctly into what new sectors they should be. -Sector splitting: To split a sector for any reason, you can start a line (horizontally, for this demo) by pressing the Insert key outside the boundary of the sector, drag it across to the outside boundary on the opposite side, click to place it then right click to 'kill' it. This will remove the excess that would be outside the boundaries on both ends but leave the splitting line where you drew it and make all the sectors on each side of the splitting line individually selectable. -Pillars (starts at 7:45): Draw a 128x128 sector somewhere and if it has split lines through it, you can select all sectors within the pillar and press the Delete key to remove it all. The pillar square will be empty and black so press C to clear the selection. Even without splitting lines running through just select the inside of the pillar and Delete to accomplish the same. Then, press C. If you want the sector space back after deleting the geometry of a pillar just redraw the 128x128 block and the sector will be back. A simpler method to accomplish the same thing is to enter Make Sectors Mode by pressing M on the keyboard or selecting Mode-Make Sectors Mode in the toolbar. NOTE: Hovering over sectors in this mode is the same as in Sectors Mode by highlighting the entire sector. The difference here is you can highlight a voided area like the inside of the pillar. If you click inside the voided area it will flash and replace the geometry into the sector. -Separating Sectors: This mode is also great for separating sectors from other sectors that share the same properties. Example, if you highlight a sector or split sector and 'the other side' highlights along with it, you can click a sector and it will flash, releasing it from the shared properties of the other sector and making it its own unique sector. Highlighting the flashed sector afterward will only affect that sector so any editing won't accidentally be implemented in another sector that you may not have been aware was being modified along with the one you were currently changing. Press ctrl+D to enter Drawing Mode. Find a location on the grid and left click to start drawing. Make a square room of 640x640. Draw a smaller square in the center of 128x128 (128 seems to be the standard for textures to 'fit' correctly throughout the tutorials that follow.) Switch to Sectors Mode by pressing S or going to Mode-Sectors Mode or clicking the Sectors Mode icon in the toolbar. Click the Ceiling texture and in BASE, click, say, TLITE6_5. Click OK. Change the Brightness setting from 192 up to 255 (or anywhere in between) and change the ceiling height from 128 to 112 to give the illusion the light is ON the ceiling and not IN the ceiling. Click OK to back out. On the grid view the sector we adjusted should now look brighter than the rest of the sector. Since the ceiling is lower, switch to Linedefs Mode and click the 4 lines around the smaller sector we modified then right click to open the "Edit Linedefs" dialog box. Click the Sidedefs tab and click the Upper texture box under the Backside heading. In Metal, click the METAL texture and hit OK twice to back out. Back on the grid view press C to clear the selections. Go to Mode-Things Mode, find an area on the map to start the player, hover over the point with the cursor and press the Insert key to 'drop' the player start icon in that location. The "Edit Thing" dialog box will appear. 'Player 1 start' will be selected by default. While here you can change the direction the player will be facing using the Coordination-Angle box at the lower right then click OK. Back in grid view and still in Things Mode, you can add a weapon by hovering over a location and pressing the Insert key again. When the Edit Thing dialog box opens, expand the Weapons option. Click Shotgun and since the direction it's facing doesn't matter, hit OK. Add a monster by hovering over a location and pressing Insert again. Click the Monsters option to expand it and click Imp. Can change the direction he's facing like with the player above if needed. Hit OK. Back in grid view and still in Things Mode, you can right click the Imp's icon to re-open the dialog box and change it to a different monster from the list if needed. Click the "Test Map" (Play) button at the upper right of the toolbar to test the map. Draws two rooms (with a light in the center of the first) connected by a 640 long x 128 wide hallway from 0:00-1:27. Make staircase 1:27-2:04 then skip to 9:15-) To draw a staircase zoom in to the map with the center mouse wheel. The size used here were 4 sectors of 32x128 back to back leading up to the entrance of the hallway. Starting at 9:15, hover the cursor over the first/lowest sector representing steps and roll the middle mouse wheel to raise it 16. Hover over the next, raise it 16 then another 16. Repeat through the last of the 4 steps to finish. Apply a texture to the top of the steps by clicking each of them, right clicking, clicking Floor and in STEPS, click STEP1 (or STEP2 if the line running down the center fits the direction.) Click OK twice to back out and press C to clear the selection. Add the Metal texture to the sides of the steps by copy & pasting (Shift+middle mouse button to do all areas at once) from an existing item or the usual way of right clicking after selecting them. To align textures, (on sides of stairs for consistency) (starts at 10:20) hover cursor over each and press L then press A while hovering over one piece to automatically align them all horizontally. -To raise the ceiling of a room, in Visual Mode click everything on the ceiling of its sector and use the mouse wheel to push it up. Roll it up to, say, 192 and press C to clear the selection. This can expose areas that are untextured. They'll be glowing red with black question marks. -To create lights (raised) from Floor or (lowered) from Ceiling (5:45), in Visual Mode, hover the cursor over the sector that was made in Drawing Mode before entering this mode, and if from Floor, roll the mouse wheel, say, 8 units up. Or, from the Ceiling, roll the sector down about 8 units. Click the top of the floor texture then right click it to open the Edit Sector box. Click the Floor texture box and in BASE, click, say, FLAT22 and click OK. To raise the brightness of the sector to accomodate the lighting, change the brightness to 255. Can change the Ceiling texture while here if needed using BASE and CEL1_2. Click OK twice to back out. -To paste a texture onto a question marked area (untextured area), such as the lights created in the above step, hover the cursor over one of the areas and right click it. On the Sidedefs tab, click Lower and in BASE, click SILVER1. Click OK twice to back out. To make it fast, hover over the texture you just placed and press ctrl+C. Move to an untextured side and push the middle mouse button to paste it. -To copy and paste a texture instead of doing each individually: Right click on area that needs a texture to select it. Go to Sidedefs tab. Click texture you want to replace (lower if on/from floor). Use Base (as an idea). Select say, SILVER1 and click OK to add it. Hover cursor over newly added texture and press ctrl+c to copy it. Hover cursor over other areas to do the same and press middle mouse wheel down to paste it. Or, go to side that needs it and hold Shift then middle mouse click to have all other sides/empty slots filled in automatically. -To move the Floor and the Ceiling up or down at the same time and same amount, click every piece on the Floor and every piece on the Ceiling then roll the mouse wheel in the preferred direction. They will both go in the same direction. For stairs, roll it up to 64 (as an all around #.) Press C to clear the selection. NOTE: To create a Visual Mode start point, in Verices Mode hover the cursor where you want to start and push ctrl+W. This will insert a dull white marker to be a start point when you press W while on the grid mode to enter Visual Mode. (or go to Mode-Visual Mode) Can right click this icon in Things Mode to see that it's located in Editor Things-Visual Mode Camera. Use E,S,D,F to move around in Visual Mode. -Nukage Pool: (Damage from liquid pits 0:00-2:37) In Drawing Mode, create/draw the outline of the pool. Go into Sectors Mode, click inside the pool and right click to open its properties. Click the Effects button and in the "Predefined Effects" box, click choice 7 (Damage -2 or 5% health) for a regular pool. Back in the Properties box, lower the Floor Height -16 (or comparable.) Click the Floor texture and in Liquids, click NUKAGE1. Click OK to back out. Change to Linedefs Mode and click all sides of the pool. Right click on one and click the Sidedefs tab then hit the Lower texture box. In BASE, click STARTAN2. Click OK twice to back out. Insert a player in Things Mode and click the Play button to test it. -Door-common (try to make them 32x128 but 64x128 is doable): (2:37-7:21 total w/ explanation of actions for switches, etc. at 3:57-5:30) Whatever mode you're in press ctrl+D to enter Drawing Mode w/ the little dot near the cursor. Place the dot wherever and draw the door and/or adjoining room(s). When done, switch to Sectors Mode and click in the middle of the door to highlight all sides of it in red. Right click inside the red to open the Edit Sector box. Drop the "Ceiling height" to 0 and change the ceiling texture to FLAT23 (or comparable.) Click OK twice to back out. Switch to Linedefs Mode & click the 'long' side lines of the door (the ones facing into the room(s)) so they both turn red then right click one of them to open the "Edit Linedefs (2)" box. Click the Action button to open the "Predefined Actions" box. Expand the Door selection and for a regular door, choose the top selection DR... and click OK. Click the Sidedefs tab and click the Upper texture box. In Base, select BIGDOOR2 (or comparable) and click OK twice to back out. (Can also choose brick for the texture on both sides to conceal it!) Press C to clear the selection. Click the 'short' side lines of the door so they both turn red then right click one of them to open the "Edit Linedefs (2)" box. Put a check in Lower Unpegged. Click Sidedefs tab, click Middle (the only box that should have a texture) and, in Base, select DOORTRAK. Click OK twice to back out and test the map/door. Test the map to see if the door works. Door-inaccessible: To create the type of door with a single single texture and no cascading multi bs, like the one behind you in the original Doom, draw a sector on the outside of the sector where the player start is. This will be the inaccessible door and should be 16 wide x 64 long. Since the grid/snaps are 32 minimum, hold the Shift key while drawing to make the line any length you want. (take care to keep it straight on one of the grid lines) Once the rectangle is complete go to Make Sectors Mode and click inside the new sector. Right click in the sector to open its Properties. Change the Ceiling Height to 80 and change the Ceiling texture to CRATOP1. Click OK to back out. Press W to enter Visual Mode and click on the two sides in front of the door to select them. Right click to open their Properties and click the Middle texture. Change it to SHAWN2 and click OK to exit. There should now be a metal framing around the door. Right click the area to put the door graphic, click the Middle texture and choose DOOR3. Click OK to back out and test the map. -Lift: (7:21-10:29) Press ctrl+D to enter Drawing Mode. Draw a 64x64 sector (or comparable). In Sectors Mode, click in the middle of the lift, right click and change the Floor Height to 128. Click the Floor texture box and in BASE, click FLAT20 and hit OK twice to back out. In Linedefs Mode, click the two sides facing into rooms (or however many sides are accessible by the player-could be 1), right click and click the Sidedefs tab. Click the Lower texture box and in BASE, click SUPPORT2. Click OK and then the Properties tab. Press the Action button. Expand "Lift" and select the bottom choice (SR Lift Lower Wait Raise)-this uses a switch as there's no direct interaction selection for Lifts. Click OK. Press the New Tag button and click OK to back out. Now in grid mode change to Sector Mode and click inside the Lift. Right click and press the New Tag button. Change it to the previous number (minus one it) and click OK to back out. Click Play to test the Lift. -Teleport (10:29-16:19) Make both (64x64) sectors in Sector Mode or Drawing Mode. Line them up with the grid so the texture matches without the half & half bs. Change to Sectors Mode and select both by clicking in the middle of each. Right click to open the "Edit Sectors" dialog box and click the Floor texture box. In the Hell texture set, click GATE1 (or comparable). Raise the Floor Height to 16 and click OK to return to the grid view. Change to Linedefs Mode, click the outside line, right click, open Sidedefs tab, and change Backside-Lower texture to BASE-STARTAN2. Click OK twice to back out. In Linedefs Mode, click the 4 sides of a teleport and press the F key to flip the inward pointing middle lines to the outward facing direction to allow the player to access the teleport. (the other teleport should auto switch as well without direct interaction along with the 1st. If it doesn't, do it manually) Next, right click the four highlighted lines of a teleport and click the Action button on the Properties tab. Click to expand the Teleport selection. For a regular teleport setup click WR Teleport from the four choices (3rd choice down) and click OK twice to back out. Back in grid mode, press C to clear all selections. Still in Linedefs Mode, click the four sides of ONE of the teleports then right click. Click the New Tag button, click OK and press C back in grid mode to clear the selection. Change to Sectors Mode and click in the middle of the OTHER teleport. Right click and press the New Tag button and minus the # that appears by 1 to link it with the previous teleport and its tag #. Clear the selections and open Things Mode and click in the middle of a teleport to open the "Edit Thing" dialog box. If it's not open automatically, click Teleports-Teleport Destination. Change the direction the player will be facing, if desired, and click OK. Open Linedefs Mode and select all four lines around the teleport you just edited. Right click and hit the New Tag button. It'll be the next # up from the one we had earlier which is correct so leave it and click OK. Back in grid mode press C to clear selections. Change to Sectors Mode and click the first teleport (unedited properties one). Right click and press New Tag then minus it by one to match the last tag we used and click OK to back out. Change to Things Mode, click in the teleport, right click inside it and change the direction if desired. Can go into Linedefs Mode and hover over the line(s) on one of the teleports to see the matching line of the other teleport highlight at the same time. Hit the Play button to test them. Go into Drawing Mode by pressing ctrl+D and draw a sector or whatever. In Sectors Mode, right click inside the sector and in the menu at upper left, click Edit-Copy (or hold ctrl+C) and return to the Edit menu and select Paste (or hold ctrl+V) to paste the sector onto the grid. Will auto enter Edit Selection Mode with the pasted sector 'floating' on the grid while highlighted amber. Can left click hold and drag the floating sector around. Release the left click to drop it (will still be amber/floating.) Can hold the corner and rotate it at 45° angles or Shift+hold it to rotate at lower angles. Can control the length/width by grabbing the center dot on any side and dragging it in or out. Can also do "sector stitching" by dragging the edge up to the edge of another sector, dropping it and hitting Enter to place it on the grid (no longer highlighted.) Can re-click the center of the dropped sector in Sector Mode and press E to pick it back up (now highlighted again.) But, after touching the other sector, the line that was doing the actual touching will adjust BOTH sectors if dragged any direction. ctrl+Z to undo all of this and have both sectors return to their original separated entities status. Can press E to re-enter Edit Selection Mode and hold ctrl while dragging via the center dot of a side (to touch another sector) and press Enter to drop it, then press E to return to Edit Selection Mode, it won't be stitched and won't adjust the other sector it was touching (2:25). -Can create a door (2:43-4:42), configure it correctly and completely then enter Sector Mode, click the center of it to highlight the whole thing and click Edit-Copy/Edit Paste, place it and skip all the repetitive bs. -Door Paste Special (4:42-) Create a door, copy it like above and click Edit-Paste Special to open the Paste Special dialog box if you don't want the exact same attributes. The options under "Tags and Actions" are: Keep tags the same as they were copied (default setting that's ticked), Renumber tags to resolve conflicts with existing tags, Remove all tags and Remove all actions. The option under "Floor and Ceiling heights" is: Adjust heights to match relatively with surrounding sector (checked by default and recommended to leave alone.) Use Renumber tags to resolve conflicts with existing tags if you want the pasted door to have its own action, ie, if it's the same as another, when you open one they'll both open at the same time. If it's tag conflicts are resolved (different) one door will remain closed when the other(s) is/are opened. Also, double check the player facing texture of pasted doors as they often are stripped of the original texture for some reason. Test the map/door(s) by pressing the Play button. NOTE: To change the default setting in the Paste Special dialog box, open Tools-Preferences-Pasting (tab), tick the choice you want and click OK. Click Edit-Paste Special to see the new default selection. When map has stuff on it click Mode-Map Analysis Mode. The Map Analysis dialog box will appear, click Start Analysis button (leaving all items checked.) After a moment, any errors will appear in an expanded window in the dialog box. Clicking an error will show you exactly where the error is on the map. Can fix "Sector (#) is not closed" errors by entering Linedefs Mode and clicking overlapping lines, right clicking to open the Edit Linedefs box and changing the Sector Index # to match that of whatever the Sector Index # is of a sector it's supposed to be a part of. (that's a simple solution to what could be one of many complex problems so taken w/ a grain of salt as it's no absolute solution across the board.) A texture will appear in the 'repaired' portion of the sector. Click and check the Sector Index of an area you'd like a 'blank' sector to be part of then Cancel the dialog box and click lines you'd like to attach to that sector. Right click and change their Sector Index # to match. Click OK to back out and see the changes. An easier way to do the same is go to Mode-Make Sectors Mode and click the offending sectors. When changes are complete return to Mode-Map Analysis Mode-Start Analysis button. To fix "Linedef is missing both sides" errors, click the error(s) to find the offending lines and in Linedefs Mode, click a line, right click and hit the Sidedefs tab. Front Side and Back Side will probably be unchecked and blank. Cancel to back out and click Mode-Make Sectors Mode. Click within the offending sector to create a valid sector. To fix "Sidedef has missing upper texture (front side)" errors, click the errors to probably see the player viewable side(s) of a door or other Thing that doesn't currently have a texture attached to it. (will have a 'hall of mirrors' (HOM) effect if left as is and test the map) Can click the "Add Default Texture" button at the lower left as a quick fix or switch to Lindefs Mode and fix them the regular way by clicking the offending line(s), right clicking, hitting the Sidedefs tab, clicking Upper and in BASE, clicking BIGDOOR2 (or comparable) and clicking OK twice to back out. SIDE NOTE: Entering an unknown name into the Upper texture box (or any texture box) manually, which results in a question mark appearing in that texture box, and testing the map will cause the Doom engine to crash. So, don't do that lol. SIDE NOTE (starts @ 5:55): Mention of some ridiculous "don't do" error that can happen while in Linedefs Mode and dragging part of one sector over and into another sector causing large portions of one of them to turn black and textureless. And how Doom engine can't figure out what you're trying to do so it does the only thing it knows to do which is cut out part of the sector, for lack of a better explanation. It doesn't 'cut' anything but it removes its properties and it's an error waiting to happen if you try to play it. Also, mention of creating a sector within a sector, like for a Lift or Lights or something and dragging that sector to a different sector then hovering over it in Sector Mode to illustrate it still shares its original sector properties with the original sector it was created in and not with the new sector it was moved to. Can also exhibit strange highlighting behavior bc Doom engine doesn't recognize what you're trying to do with it. So, a basic rule of thumb is to only create sectors within sectors you plan to use them in and don't move them to other sectors. He says that dragging other things into other sectors is ok, but not geometry. Yeah, I get it. 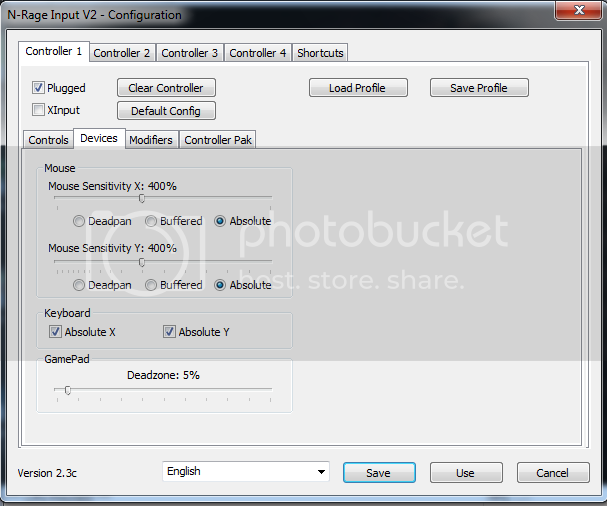 In Linedefs Mode (L), click to select the line and right click it to open the Edit Linedef box. Click the New Tag button to assign it a # and remember the # for later. Click the Action button and expand the Door selection on the left. Click OK to back out. Enter Sector Mode (S), click the door sector and right click inside it to open its Properties box. This video was just posted. Only one week to go until this mod is released! Hoping this can be used with Doom64 EX. Been tearing through the game on my laptop and it's an amazing emulator complete with a tool to strip the wad from the Nintendo 64 rom. Even the intro level is playable lol. Great stuff! Zandronum 3.0 will run it. As always, break out the hex editor and open your legally dumped rom and search/edit the following strings. Preferred hex editor is Hex Workshop. HxD doesn't find any of these in my experience. Attached the Lunar IPS file to patch the rom. Lips can be downloaded from here. I setup this Hatari to play/test Custodian for the ST and although difficult, not impossible. I'm assuming setup is similar for Mac and Linux. Download Hatari and unzip wherever. Delete tos.img from the directory to make the error screen appear in the following steps. Download and place emutos or other TOS image(s) in the directory. I've been reading up on using a mouse with this emu, version 1.6 specifically, and of what I've found, no definitive setup info. Anyone here pull this off and could share some tips? 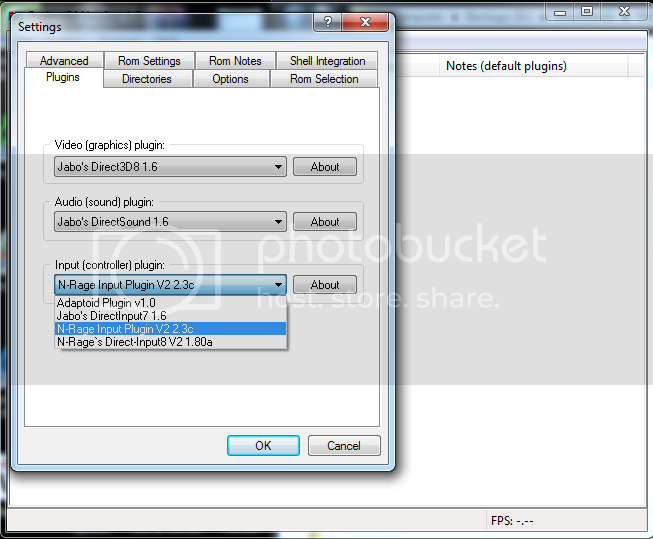 Supposedly, NRage_DInput8_V2_2.1.dll copied to the plugins directory is needed and once selected via Options-Settings, I can configure the settings by going to Options-Configure Controller Plugin. Looks like there are some settings for the mouse on the Device tab but not sure how to use them. bank, second press is effect in bank. Anyone else attending? What I wouldn't give to be able to go! Also ordered Seasons 1-4 from Amazon to add to the collection Great stuff. Here are the episodes from newest to oldest on cinemassacre. Here are the episodes individually for reference. This goes hand in hand with the NES 'Game Code Modifications' :p thread. Discover Game Genie Codes on your own or go to this page to pick from them. To hack the rom itself, double click the address that auto appears under Possible Affected Rom File Addresses at the bottom of the dialog box. This value will be the same as the Compare value in the Game Genie Encoder/Decoder dialog box. 1. In the built in Hex Editor window, after making changes click File-Save Rom. The changes will be made to the original rom immediately. Was going through some old files/sites and ran across Starcat's Atari Jaguar downloads page. Haven't seen him online in some years but I'd bought a copy of Jagmind: Bombsquad when it was released and now it's freely available. If you have a JagCD it's great for a spin. The action can get frantic fast. I'd posted my high score on JSII back in 2005 but can't remember what it was. Anyway, more good stuff for the Jaguar! Had seen this and thought about pouncing on it. Great starting price. Attention OUYA Gamers. Razer acquired OUYA assets in June 2015 and we want to celebrate with you? I'm considering the Razer but don't know enough about it yet. A few extras to mix and match, just for good measure.. I stumbled across this series the other day. Have watched the first 8 episodes and think it's great.